Paul and Pat Lingle have a strong connection to the history and development of Indiana University East. 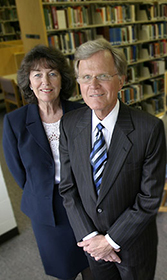 Since IU East was established in 1971, the Lingles have supported the campus. Today, they continue to be a part of IU East by providing a $700,000 gift to the new Student Events and Activities Center. Paul and Patricia Lingle and the Vigran Family Foundation have been recognized for their philanthropy, strong support and dedication to Indiana University East. Both were inducted to the IU Presidents Circle August 29 at a ceremony held in Bloomington, Ind. 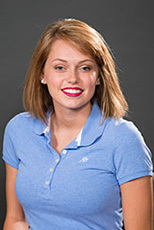 Indiana University East will host its 41st Commencement Ceremony at 6 p.m. on Friday, May 11, at the Richmond High School Tiernan Center. This year, the university will confer 445 baccalaureate degrees and 16 master’s degrees. The awarding of the degrees is a significant increase for IU East. In 2005, the university conferred 156 baccalaureate degrees and 86 associate degrees. IU East no longer offers associate degree programs and conferred its final four associate degrees in 2011. Indiana University East will award an Indiana University honorary degree to Paul W. Lingle during its Commencement Ceremony next month. The honorary degree will recognize Lingle’s exceptional leadership and service to the campus and greater community.